What to choose – the Magista Obra or the Superfly IV? Actually it is not as hard as you may think. Because, even if both boots are made with a Flyknit upper and the Dynamic Fit Collar, they are two very different football boots. Come along at learn more about the differences right here. The presentation of the new Superfly has surely left a number of footballers a little confused. 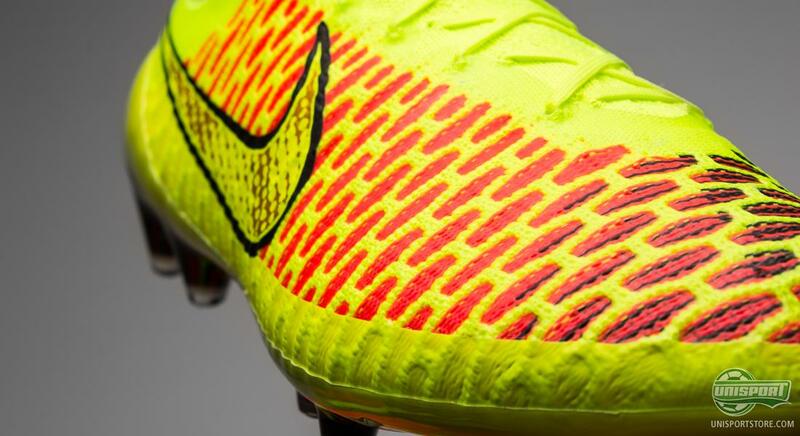 Maybe you had just decided to go for the Magista, and then the Superfly is revealed and everything just got more confusing. But we are here to tell you, that is doesn't have to be hard and confusing. 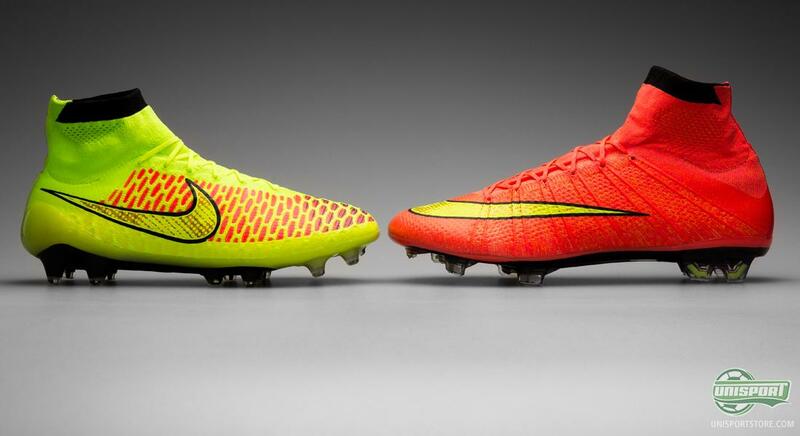 Agreed, at a first glance the Magista and the Superfly may look very much alike. But if you take a closer look at the technological elements on each football boot, it quickly becomes evident that the two boots meet two very different needs. 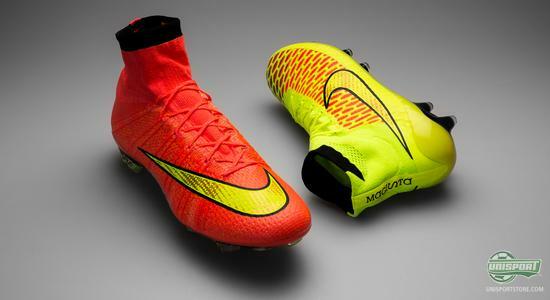 Let's start with the fact that both are made with Flyknit and Dynamic Fit Collar, and then zoom in on the fit of the boots. 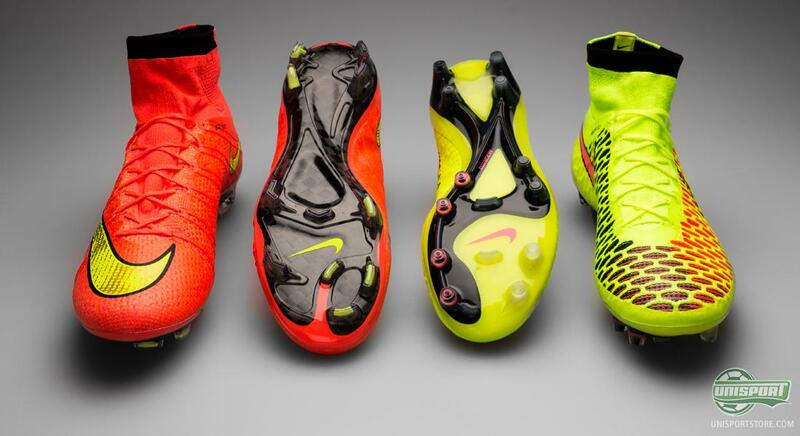 Firstly, the Magista Obra is made on the GF13 last, which we know both from the Hypervenom and the Tiempo. Those who have tried these football boots will knot that this last is highly flexible and provides an anatomical flexibility that adapts to the shape of your foot. Haven't ordered the Magista Obra yet? Go ahead now – just €275. On the other hand, the Superfly IV is made with the well-known V12. This last is known from the other Vapors, and provide a much slimmer and more tight fit compared to other Nike football boots. 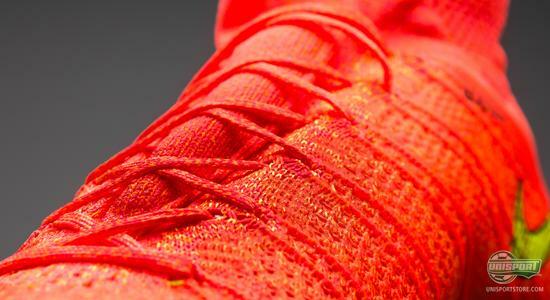 In this connection, Nike have also used Brio cables to make the fit even more snug around the foot. The cables are are locked around the holes for the lacing and will therefore be tightened around your foot as your tighten your lacing. 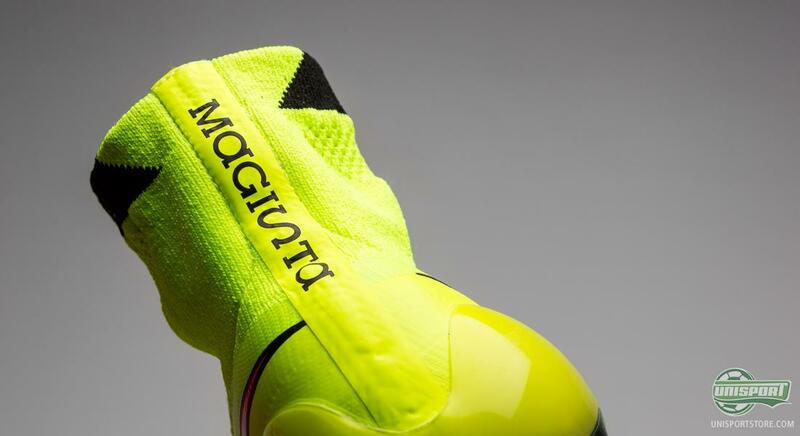 The Brio cables are also used on the Magista. 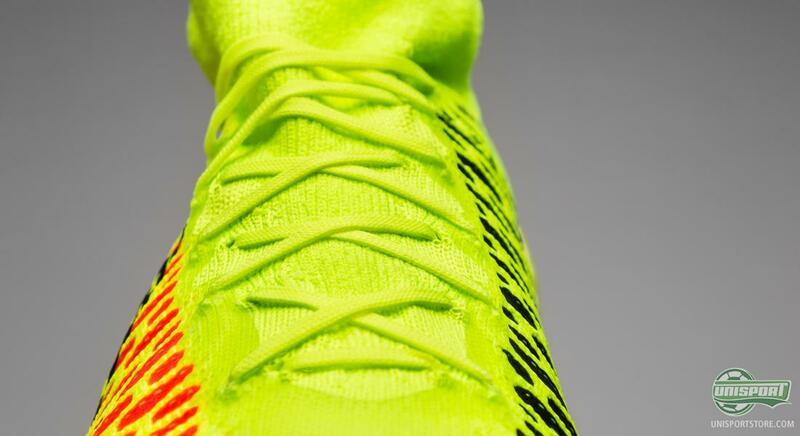 But, in addition to adding to the snug fit, the Brio cables also serve another purpose on the Magista. They serve to keep the upper together, by creating this 3D structure. As you may know, the idea here is to provide the player with an optimised ball feel. The fit make up for the key difference between the two football boots. 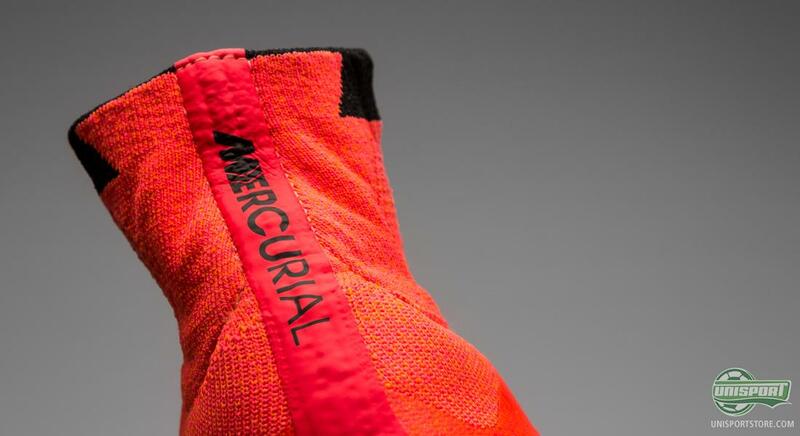 Where the Superfly IV sticks with the narrow and tight fit, as we know it from the Mercurial collection; the fit on the Magista is more similar to that which we know from the Hypervenom. In this connection it is worth noting that the Magista is not as flexible as the Hypervenom. With the combination of the Flyknit upper and the Brio cables, Nike have simply prioritised to provide a tighter fit. Another area, where the two boots have been developed with two different agendas is the sole and stud configuration. The Magista Obra is created with a focus on the 360 degree freedom of movement and the Superfly IV with a focus on, as you may have guessed, explosive speed. 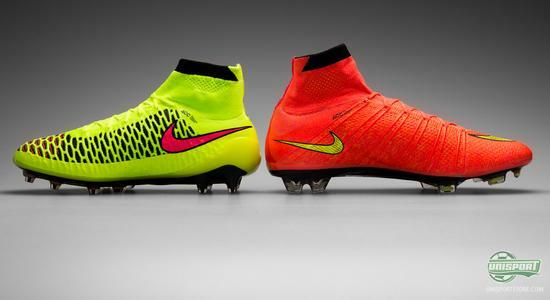 Therefore, the Magista comes with conical studs, whereas the Superfly has bladed studs. The sole on the Magista is made of nylon and PEBAX in order to reach the optimal combination of flexibility and stability. Especially around the big toe area, Nike have equipped the sole with increased flexibility, as this is the area where the energy for your initial acceleration is built. The sole on the Superfly is made of the well-known carbon fibre, which serve to give a nice and aggressive acceleration. 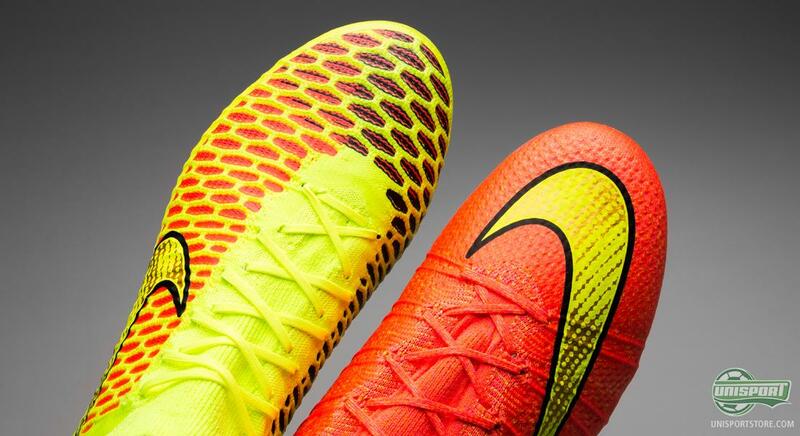 Here, Nike have chosen to go for increased flexibility and just created the sole with a two layer carbon fibre plate. It may be that the Magista Obra and the Superfly IV look alike at first glance, but this article has explained that there are some substantial difference ,that make the two football boots very different. Having read this article, which model are you going for -Magista or Superfly? Let us know what you choose on Facebook or Twitter.